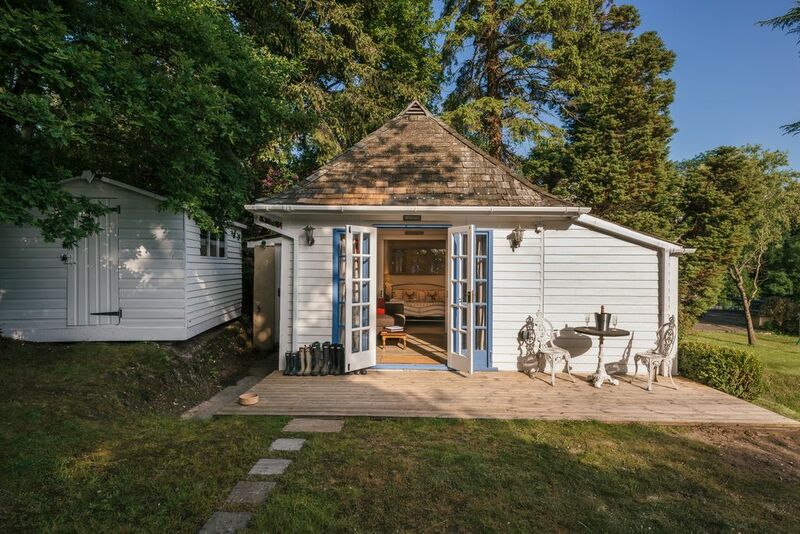 Tranquil Cottage in this Quiet Corner of The New Forest. Tranquil cottage in the New Forest in easy reach of a wealth of activities. Comprises 1 bedroom, 1 bathroom and double sofa bed. It is a self contained cottage enjoying lovely privacy in the heart of the New Forest. There are endless activities, pubs, restaurants, walks, rides, coastal walks on offer all within minutes. Lymington and the New Forest will be sure to spoil you and hopefully so will we, making your stay a memorable one! Becky, my three young daughters, and myself have lived in the New Forest for six and a half years now. We couldn't imagine living anywhere else. This idealic location has so much to offer right on your door step. Becky teaches at a local school and I have a small business in the centre of Lymington. We both sail as much as possible and race on Thursday nights and Saturday afternoons. I am a volunteer of the Lymington RNLI so if you hear the car racing off in the middle of the night you will know why! We live next door and aim to make your stay as memorable as possible. The cottage is very private, however, we are around if you need us and we hope to be around most of the time to help with any queries regarding the cottage and where to go and visit. Ensuite bathroom. Modern and well appointed with bath and shower. Thanks we really enjoyed our stay. Our son especially loved the large garden to play in. We found the summer house well appointed with everything we needed as two adults and two small children. Richard was very kind in helping us work the oven, I was weary from the long drive so missed it in the manual but Richard was kind and helpful never the less. There is a lovely little park for young children at the Boldre war memorial a short drive away which helped after the long drive down, the garden at the property is also fantastic too and has a private outdoor seating area. Great value for money considering the location. We went for two nights as a family of four plus dog. The property is perfect, the location is wonderful with walks and pubs on your doorstep. Would definitely recommend. The Summerhouse had really good facilities available and was very secure with the seperate locking gate and parking space provided. We stayed for 3 days and Richard was always available to help when needed! Plenty of things to do and eat nearby, we recommend the Filly for food which was a 20minute walk away and Go Ape in Moors Valley 30min drive away! Of course the New Forest was our main visit and it was extremely enjoyable, a welcome opposite to our normal London view! Had a lovely weekend surrounded by beautiful countryside and excellent pubs nearby. Lovely spot in the new forest, probably one of the best locations, very quite, lovely property immaculate in presentation. All your needs are catered for. Only have one negitive: you are allowed to bring up to 2 dogs ! we have 2 rather large beasts it can be a bit on the snug size Just right though for 2 adults and 2 smallish dogs. The property is in the Parish of Boldre situated between Brockenhurst and Lymington. Peaceful as we are surrounded by SSSI and off any main road. Luckily it is situated next to one of the walks managed by the Hampshire & Isle of Wight Wildlife Trust means quick and easy access into the lovely Roydon Woods. (http://www.hiwwt.org.uk/reserves/roydon-woods). Being a keen cyclist myself I can vouch for the fantastic road and trail cycling available on the door step. We have a lockable shed for you to keep your bikes safe and dry under cover. This property is ideal for those who want to get 'out of town' and appreciate one of the most idyllic spots in the country. Peaceful, pretty, interesting, variety, I could go on and on.... Also close to visitor attractions such as Beaulieu Motor Museum, Paultons Park, Hurst Castle.